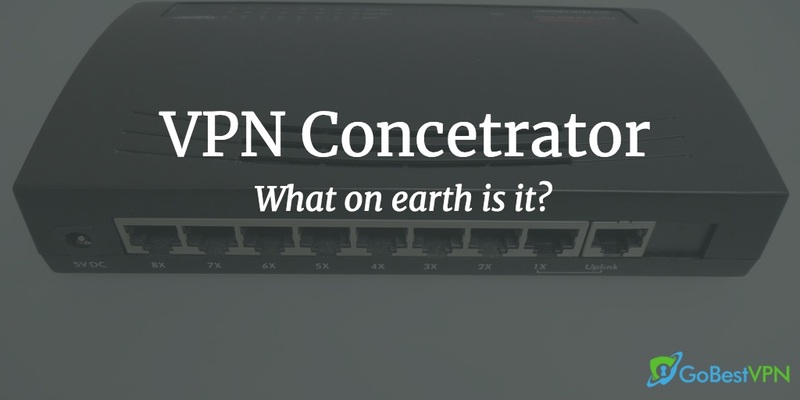 Home » VPN Concentrator—What on Earth Is It? VPN Concentrator—What on Earth Is It? If a VPN concentrator is an unfamiliar term for you, you’re not alone. We clarify everything in this article so you know exactly what it is. Here’s something you might never have heard of before—a VPN concentrator. That may be because this is a rather dated term used to refer to devices that can secure multiple connections at once within the same network. In the past, a VPN concentrator may only have served a limited function. Nowadays, manufacturers are producing multi-purpose routers with built-in VPN concentrator capabilities. 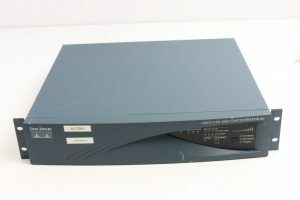 Many devices that go by the name of ‘VPN concentrator’ in the product name have now been retired, namely the Cisco VPN 3000 – 5000 series. However, there are many other devices that essentially serve the same function. Image courtesy of eBay. Yup, that looks vintage! For the sake of this article, we’ll refer to these types of devices as a VPN concentrator. In short, a VPN concentrator is a specialized or advanced device that is able to handle several different secure connections within one network. With a VPN concentrator, you can have multiple different VPN tunnels running at any one time. It adds to the capability of a good VPN router by adding on to network security. A concentrator can boost the benefits of even the best VPN routers. What is a VPN Concentrator Used For? A VPN concentrator isn’t something that your day-to-day user of the internet will need. These devices are specifically targeted towards businesses that need 100% secure communications from one end to the other. The important thing to remember is that a VPN concentrator can do this all in one place. This enables businesses to extend their VPN network to multiple sites and servers. Imagine a scenario where you have an online business with a global reach that hires talent from all across the world such as contractors—a trend that is growing larger by the day. You need to be able to provide these people with access to your company’s network and files as though they were your physical employees present within your offices or premises. This is where a VPN concentrator becomes most useful. With one in place, you can create a secure network ecosystem through which all your employees and contractors can collaborate safely and securely without the risk of your proprietary information or assets being compromised or intercepted. Traffic coming from multiple sources—say a VPN user in another country, a VPN user sitting in a bar doing work, and a VPN user working from home—comes through the internet and hits your VPN concentrator’s firewall. It is then routed through one of your secure tunnels to your secure business network. When Is a VPN Concentrator Necessary? The highest-powered VPN concentrators can provide unique VPN tunnels to thousands of different people at the same time. So if you are a small-to-medium-sized business, you are probably not going to need a powerful VPN concentrator like this. As each one can cost thousands of dollars, it may not be the most cost-effective option. These are suited more towards larger businesses and government organizations like the military and security services that transmit lots of proprietary information between different people working remotely. They’re simply not worth the expense or hassle unless you have particularly sensitive information that is of high importance and you have hundreds to thousands of people accessing your network. 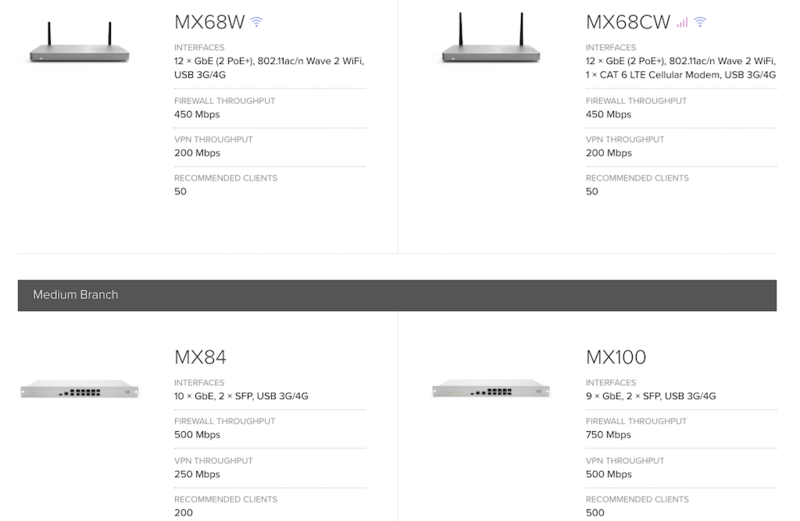 The Cisco Meraki MX line offers several models depending on business needs. With multiple users directing traffic to your network, it is always a good idea to have a VPN concentrator in place to handle security. Without one, your network could suffer from traffic bottlenecks. A VPN concentrator is not itself a VPN service. Rather, a VPN concentrator adds on to the capabilities of a VPN router by facilitating advanced network security and communications. As we said, it is used for establishing and configuring tunnels through which traffic will flow. Data transfer management, both across the tunnel, inbound, and outbound. When traffic enters one of its tunnels, it is secured through AES 256-bit encryption while it travels through to the end-point, your servers. This is military-grade encryption that has been the accepted standard for transmitting Top Secret information for almost two decades now. It is unbreakable and provides complete protection to any data, information, files, and communications until it reaches you. As a smaller business, you will almost always be better served by a VPN router. They are cheaper, simpler, and while they require a bit more configuration, they still provide high levels of security when used properly. VPN concentrators tend to have effective firewalls built-in. You can have multiple tunnels running simultaneously for multiple people. You can directly assign specific tunnels to specific users. They provide data encryption directly. While they are clearly better than VPN routers, they aren’t going to be justifiable unless you are sending and receiving sensitive data to and from hundreds or more people across the world. Still, choosing between the two requires some thought. High-end VPN concentrators are unlikely to be what you need as a small business. If you are one, you will be far better served by using a VPN router for your network. These, when paired with a powerful enough VPN, provide comparable levels of protection at a lower price point. VPN routers are cost-effective, as the best ones will cost between $200-400. They can easily be deployed within your company’s existing network and act as a gateway for traffic coming into and leaving it. Setting it up is easy and you can even do it yourself. Though you have no control over the tunnels being used and cannot take advantage of features such as direct assignment, VPN routers are the right choice for most people and small-to-medium sized businesses. Contrast this with a VPN concentrator–the overall setup process is a lot more involved and drawn-out. In most cases, unless you have extensive networking experience yourself, it requires hiring a network engineer and this is both expensive and not cost-effective for a smaller business. After reading these articles, you will be in a much better position to start making decisions and should have enough knowledge to act on.